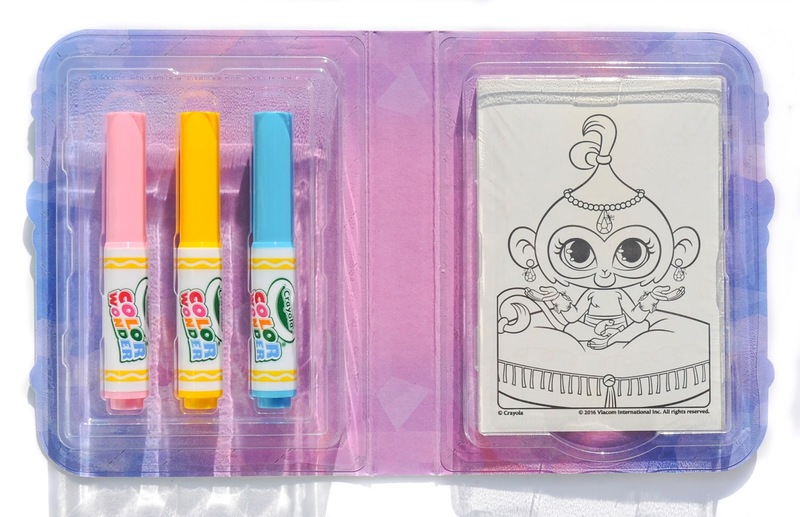 I was so excited to receive the Crayola Color Wonder On-The-Go coloring sets from Crayola. I was going buy at Target, but held off and the next day I found out we were getting them to review. My kids especially love the PJ Masks and Paw Patrol sets. A couple of years ago my kids started watching the Disney Channel show PJ Masks and there were no toys at all for the show. My kids and I love the show because it has both boys and girls that turn into pajama clad superheroes at night with their magical bracelets. We found some PJ Mask's pajamas for their Halloween costumes and bracelets for Christmas. 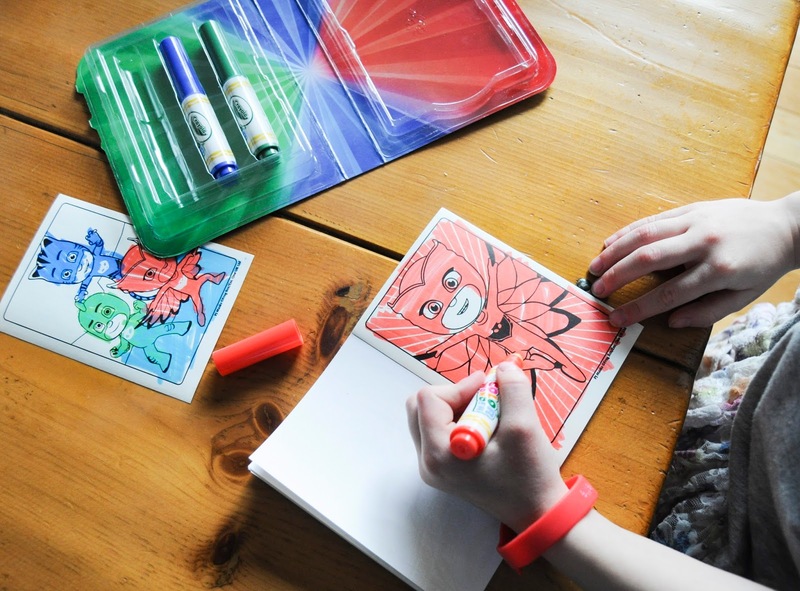 Now they get to color their favorite superheroes in a REAL coloring book! They are excited. 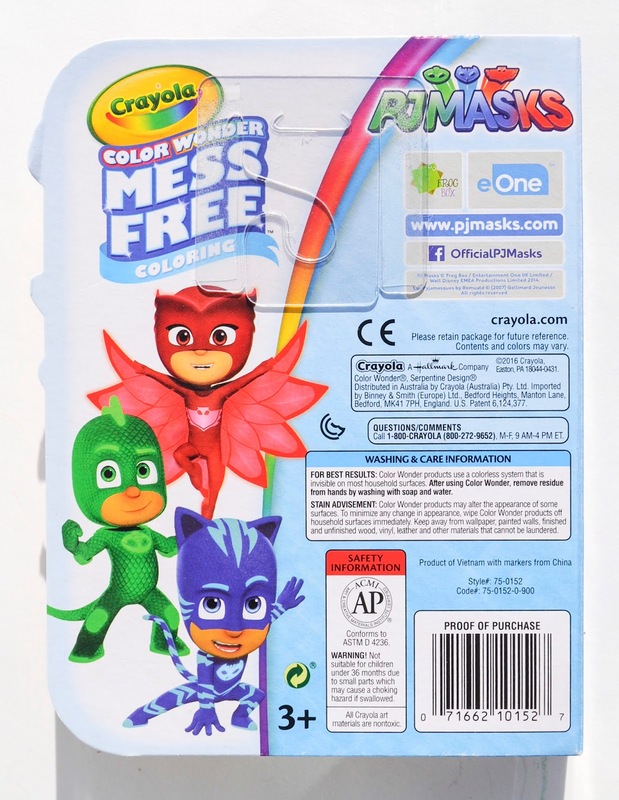 I can not tell you how many "coloring pages" (ones I made from images from the internet before there were books) I printed for them to color for PJ masks. 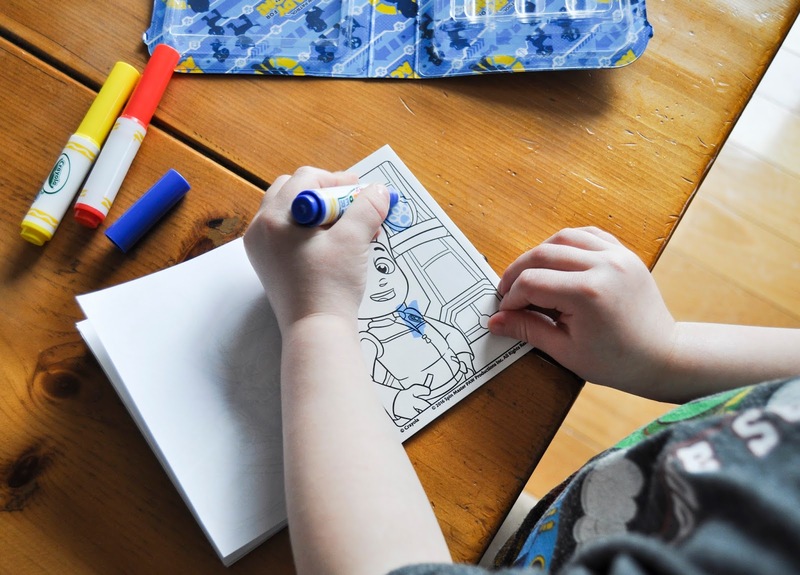 There are also PJ Masks giant coloring pages, coloring books with stickers and activity books. What's in the box and how does it work? 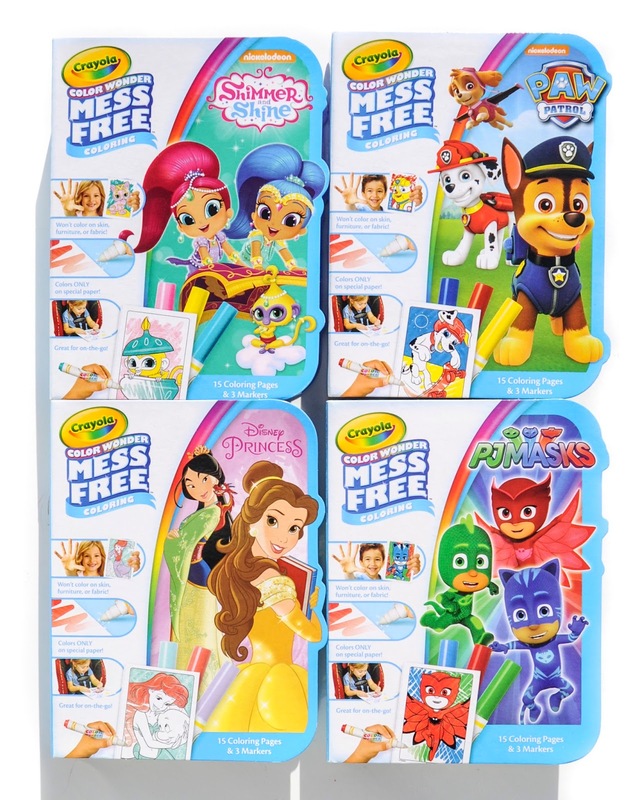 The Color Wonder Color-On-The Go sets come in 4 themed sets; Paw Patrol, Disney Princess, PJ Masks, and Shimmer and Shine. 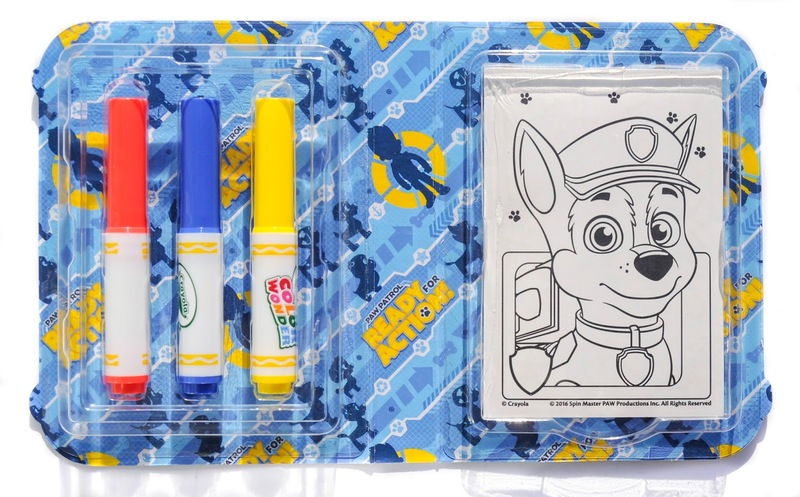 The sets are very well put together and include 3 themed markers each. All of the markers are interchangeable. How does the Color Wonder work? 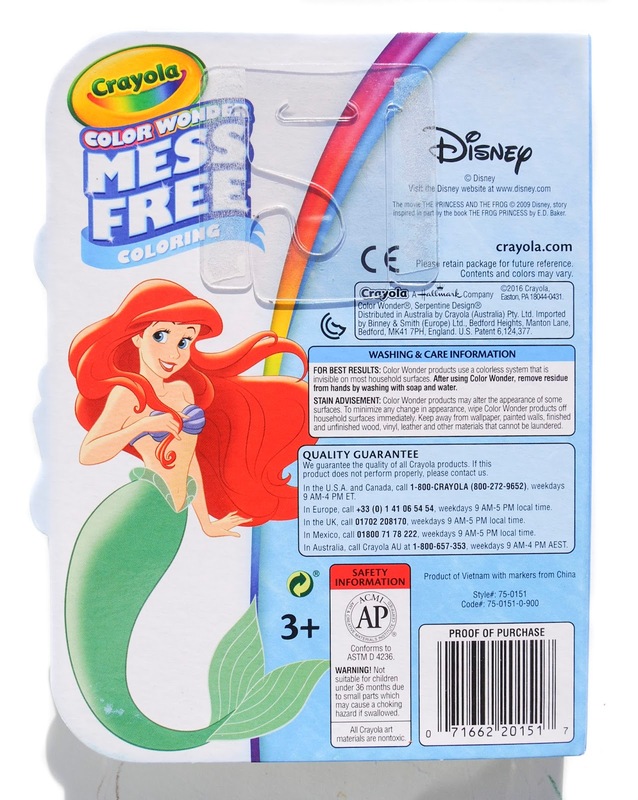 The marker only colors on the specialized paper, because the paper contains chemicals that react with the marker ink. Read more about the patent information here. 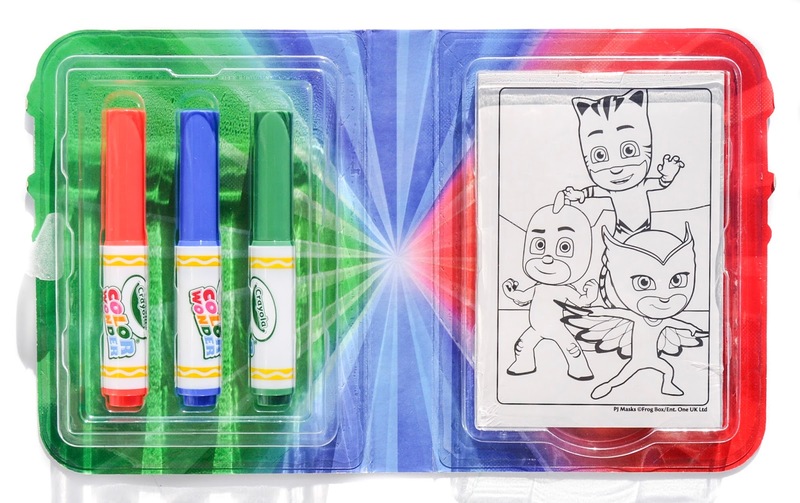 What is really cool about this set is it has negative space areas which is used to hide fun patterns, outlines of buildings, background objects, and masks on the PJ Masks outfits. Watch the video to see what is in the boxes and my daughter coloring Owlette. My daughter's coloring: Crayola Color Wonder On-The-Go: PJ Masks, her favorite character Owelette. Notice she is wearing the bracelet too. She wears it every day to school. What did my kids think? To say they loved them is an understatement. My son carried his, he claimed the Paw Patrol around the house and colored all the pages. He mostly scribbled on them and colored really quickly, but he loved it. My daughter loved the PJ mask one, and has almost colored all the pages in her set. She loved finding the hidden objects in the pictures. What did I think? I think these are really cool and would be idea for taking to the doctor's office or a long card ride, two things we do often enough. And would be a much better alternative than a screen. 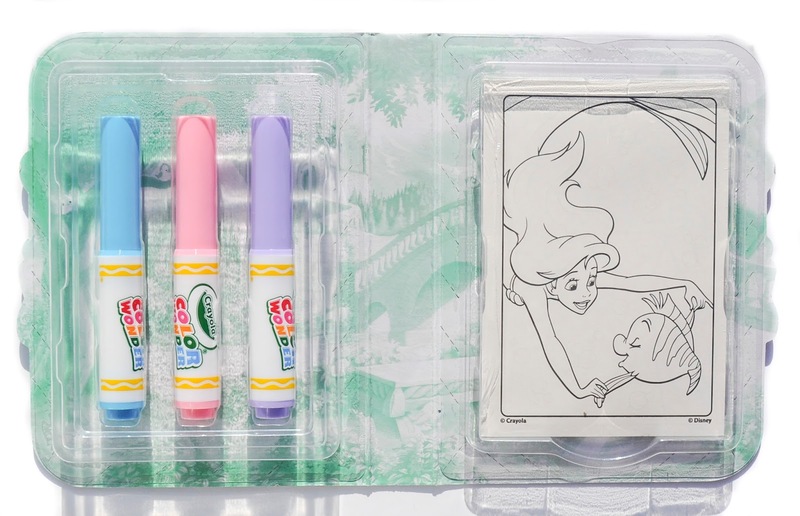 I love that the booklets can be opened and closed and there is space for the markers inside. This way the markers will not end up all over the car and the doctor's office. This happens a lot with other marker packages that can not be closed up when they are open. 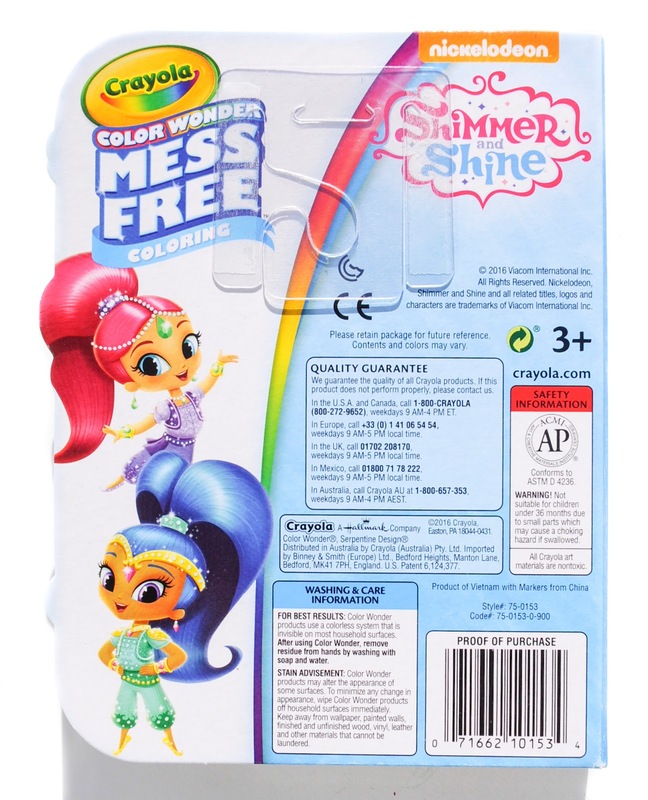 I love that they are mess free and only color on the paper. My son was confused the other day when he was coloring with them and accidentally "colored" on his blanket. I had to reassure him that the blanket was not dirty because the marker did not leave a mark on his blanket. How could it be even better? I would love refills for these books. My kids colored through the pages pretty quickly. I would also maybe like to see a few more colors per set. They are interchangeable, but my daughter only wanted to use the ones that came in the set. 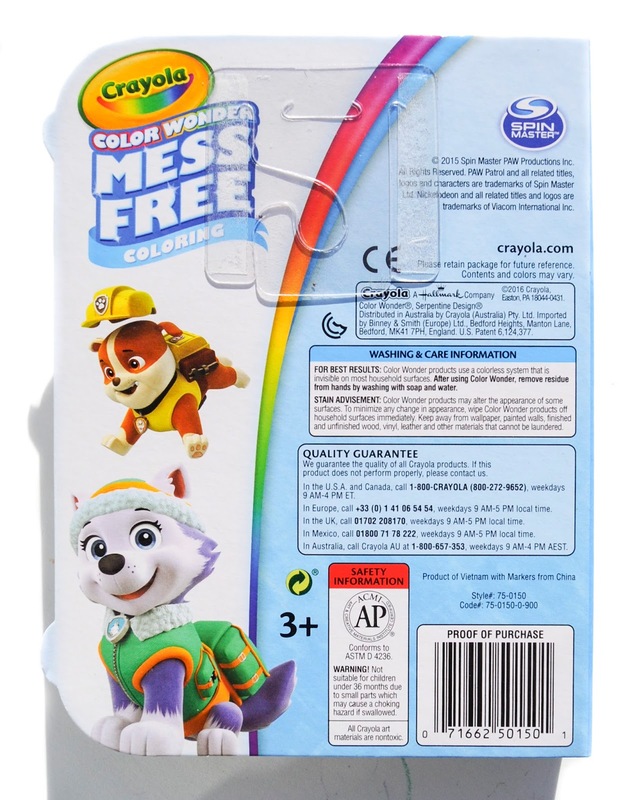 Crayola changed the Color wonder design. They made it more of a white background overall and emphasized the Mess Free feature of the markers.